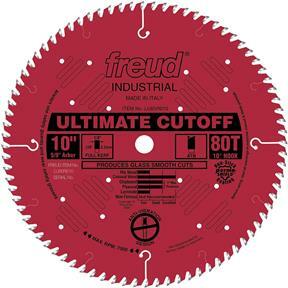 This superior blade gives glass-smooth finishes when crosscutting hard and soft woods, so no sanding is required. What makes this blade so special is the unique side grinding of each tooth. The teeth actually polish the material as it cuts. New laser-cut anti-vibration slots practically eliminate the vibration that resonates in standard blades, producing glass-smooth finishes. With a finish this perfect you won't need stabilizers! 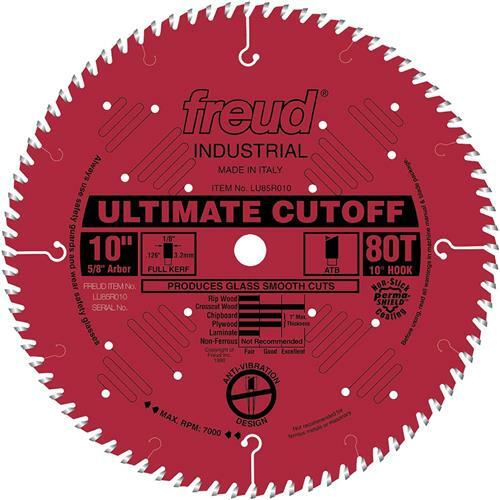 Laser-Cut Anti-Vibration Slots drastically reduce vibration and sideways movement in the cut extending blade life and giving a crisp, splinter-free flawless finish.